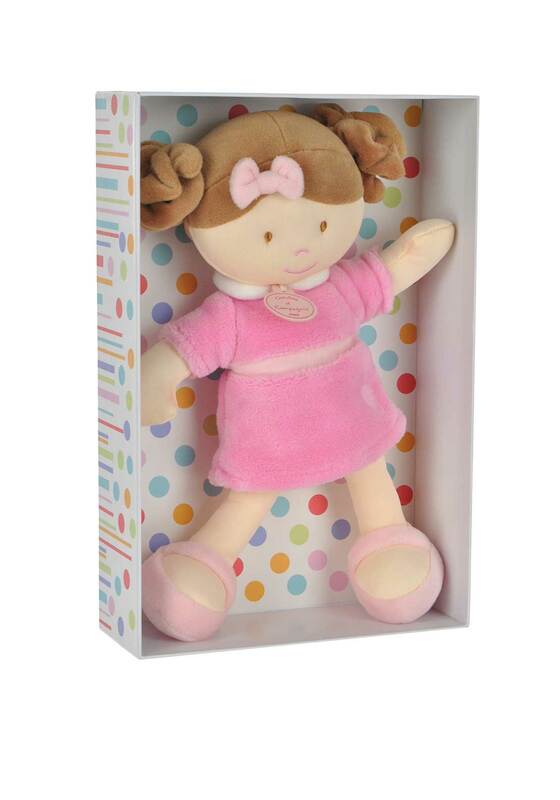 Doudou et Compagnie presents this stunning soft toy dolly that will make the perfect companion for your little one. Featured in a pink dress, they are the perfect bedtime friend and will provide comfort. It comes in a beautiful presentation box and is perfect for making memories with.